Home Local News Minister Johnson commends HAL for supporting local Maritime Training Course. Minister Johnson commends HAL for supporting local Maritime Training Course. POND ISLAND:— The cruise line Holland America Line (HAL) has contributed to a comprehensive three-month maritime course which will allow 10 local young people to obtain local and international certifications. The course is being coordinated by Kidz at Sea Foundation and K1 Britannia. Kidz at Sea focus has been on exposing the nation’s youth to job placements in the maritime sector by first offering training opportunities. K1 Britannia second chance program was established by the civic organization to focus on the current needs of youth by getting the training and providing mentoring that would enhance their possibilities for finding employment. “I was pleased to learn about the support that Holland America cruise line is providing to a local maritime training program for our youth. “Efforts have been underway over the years to get more young people involved in the maritime sector. We need locally trained persons who can do the job at the various ship/boat yards throughout the country. “There are also employment opportunities with day charters, dive boat operations, mega yachts, and the cruise lines. “There are other opportunities as well within the maritime sector and the nation’s youth can benefit from by being gainfully employed. “I would like to take the opportunity to commend HAL for their support and commitment to helping creating employment on the island. “I also commend the Kidz at Sea Foundation and K1 Britannia for their efforts in pulling this together and making it happen. 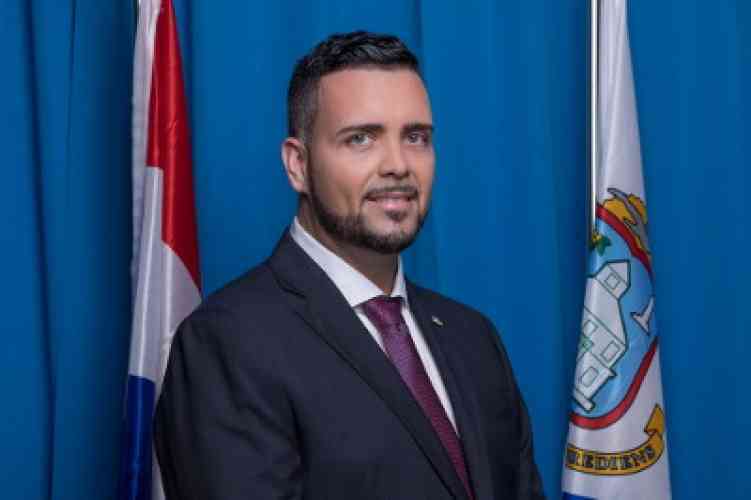 “Both organizations have years of experience with the existing societal programs that they offer which is making a positive mark on our island as they get the training and find employment in the ever-important maritime sector,” Minister of Tourism & Economic Affairs Stuart Johnson said on Wednesday. Kidz at Sea Foundation and K1 Britannia have collaborated to create a training program that will offer certification through the level of Coastal Captain along with maintenance know-how including knowledge of basic keelboat, basic cruising, bareboat cruising, and STCW-2010 (Standards of Training, Certification and Watchkeeping code). Previous articlePrime Minister Rhuggenaath supports proposal of the Social Economic Councils of the Caribbean countries of the Kingdom. Next articleAbout time that Curaçao addresses sustainable public finance Newly made agreements government and Cft have to turn situation around. So is he claiming somebody Fabricated those chats? That is a serious accusation?